Whether you’re a fan of gardening shows or have a green thumb of your own, growing any type of greenery is truly an art form. While some believe a little water and some sun is all it takes, there are actually many factors that contribute to the perfect environment for growing and housing plants. Lighting, air temperature, and space all play into what flourishes and what fails. If you are looking to add a shrub or two to your current space, here are a few suggestions for apartment friendly plants. Cacti: For many, when they hear the word “cactus”, they think of deserts, dry air, and deadly temperatures. 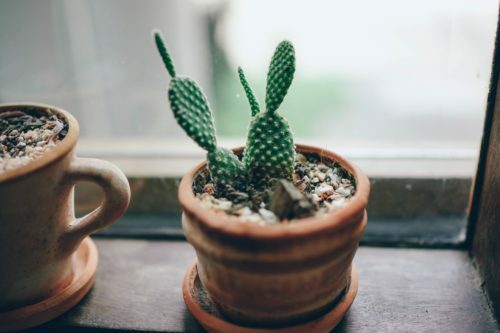 In reality, incorporating cacti into your apartment is a unique addition to almost any decor. These plants only need watering once a week and even less during the winter months. Pick a well-lit corner for your cactus but avoid placing it in direct sunlight, as this can make it acquire a bleached or orange appearance. Succulent: Known for their geometric shapes, unique textures, and various colors, succulents are one of the most sought-after plants for interior landscaping. They require minimal care and light while taking up very little space. 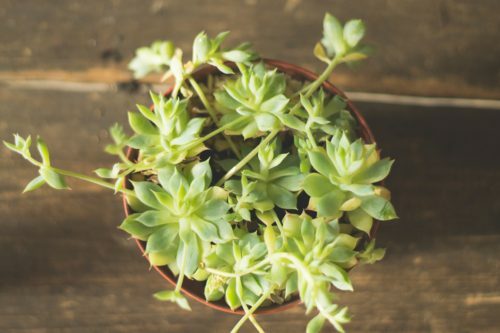 Succulents do not have to be near a window to thrive and actually do very well in cooler temperatures. Play favorites and keep them in separate pots or make a textured, colorful arrangement in a terrarium. Spider Plant: This plant was a popular staple in homes during the 1970s and has recently started to make a comeback. Native to tropical areas, these plants are easily recognized by their long grass-like leaves overflowing out of hanging baskets. 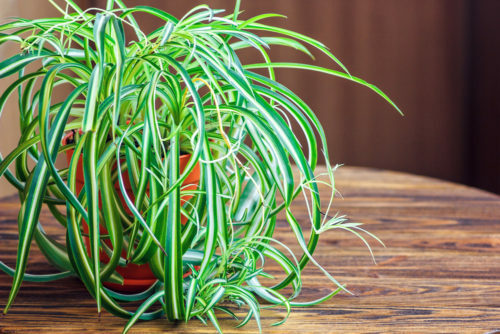 According to studies, spider plants do a good job of filtering out toluene, xylene, and formaldehyde from the air. Although they are considered non-toxic to animals, keep spider plants well out of reach as they can cause minor stomach problems if your furry friend decides to turn it into a snack. 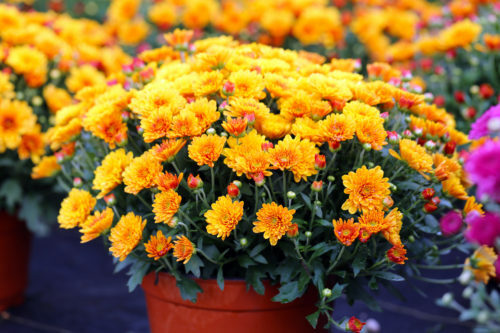 Garden Mum: This inexpensive plant is considered to be a champ by NASA at removing a variety of pollutants, such as ammonia, benzene, formaldehyde and xylene. The seeds can be easily found at both garden and home improvement stores, as well as many local farmers markets. They eventually bloom into a beautiful golden flower that can brighten up any room or balcony garden. 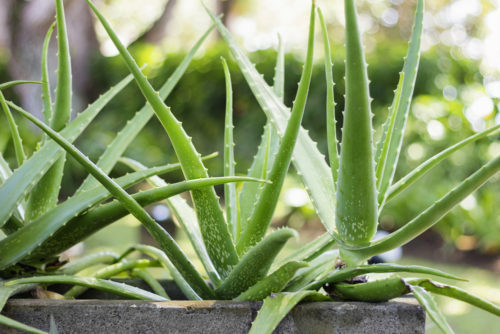 Aloe Vera: Not only are aloe vera plants extremely easy to care for, but they are also worth keeping close by for their health benefits. The clear liquid in the leaves is filled with vitamins, amino acids, and enzymes that are known for their antibacterial and healing properties. It is considered to be the most effective at treating burns and scrapes, as well as other skin irritations. 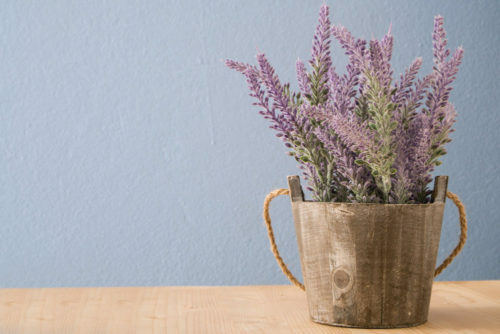 Lavender: If you’re looking for minor ways to spruce up your home, add a pop of color and a fresh scent with lavender. Originally part of the mint family, this plant dates back as far as 2,500 years or more. Lavender likes a warm (but not hot) spot in the sun or under a grow light if it’s a smaller assortment. Keep a pot in the bedroom as the scent is considered to be slightly calming and a sedative when inhaled. 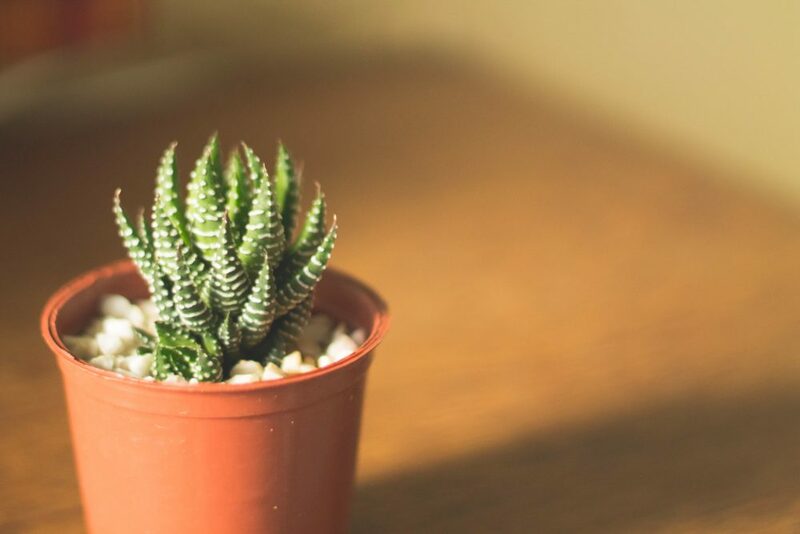 For more tips on choosing a plant for your space, contact us today!